Mocha brownies are to die for. With deep notes of expresso, fudge like texture, mocha brownies have decadence written all over them. An indulgent treat with hardly any preparation time, you will need to bake them for a good 40 minutes till the edges and top turn crack-y. 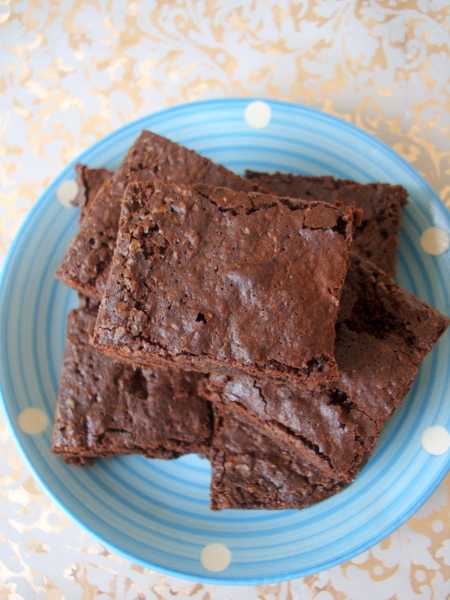 Do use good quality dark chocolate and make sure you use coffee granules when making these brownies. Its the addition of coffee granules which gives it a nice bitter flavor. A great way to end a meal is with chocolate, serve Mocha Brownies as a party dessert and you will wow your guests who are sure to ask for the recipe. 1 Preheat oven to 180 degrees C. Grease and flour square pan and line with butter paper, leaving a 2 inch overhang on the two sides so that you can lift the cake from the pan easily once done. Grease the paper and keep aside. 2 In a bowl, add flour, cocoa powder, salt and baking powder. Mix and keep aside. 3 Place a medium heatproof bowl over a pan of simmering water. Place butter in the bowl and let it melt. Remove the bowl from the simmering water and stir in the expresso and chopped chocoate and stir till chocolate melts completely. 4 Whisk in eggs and add the vanilla essence before adding the sugar. Mix well. 5 Mix in the flour-cocoa powder mixture until no trace of flour is left, using a wooden spoon. Do not over mix. Pour batter into prepared pan. 6 Bake in preheated oven for 35-40 minutes until a toothpick inserted in center comes out with a few moist crumbs attached. When you find that the edges have gone slightly dry and the top is cracked, you know its cooked. 7 Cool on a wire rack for 30 mts. Use a dampened serrated knife to cut into squares. Store in an airtight container. It looks really yummy!!! I will try this soon…. Yes, brownie batter is thick. Its thicker than cake batter but thinner than cookie dough. Tried with 180 per recipe. Forgot it was C and not F. So looked up Martha Stewart recipe, and changed to 350 F.
Thank you. I follow your blog ardently. 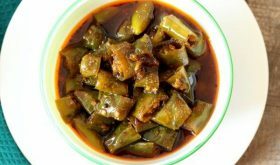 Have tried many recipes, and all were good, when I tried. I also told about your blog to several of my relatives. Thank you for all your beautiful recipes and pictures. is brown sugar available in India? Can u please tell me which dark chocolate should i use ?? You can use 50% cocoa butter chocolate. can we use jaggery instead of brown sugar or any other subsitue coz I am finding it difficult to get this brown sugar. can we make eggless brownie?? You will get it at Karachiwala. 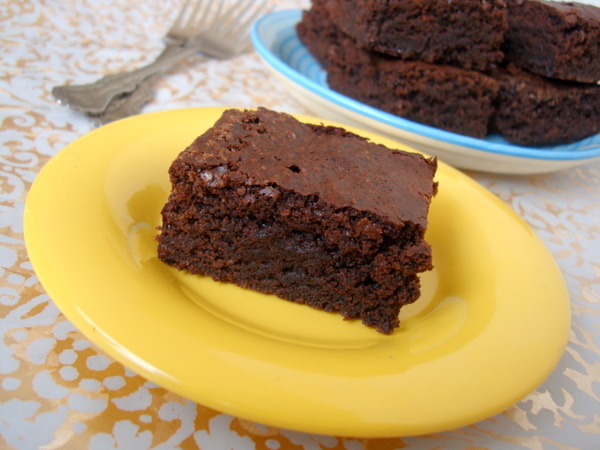 Hi Sailu, any idea how to get the perfect crispy crust on top of brownies? HI Sailu, could you pls tell me what type of dark chocolate are you using? 50% cocoa butter or 70%? If i plan to use milk chocolate, by how much should i reduce the sugar? awaiting your reply. You can use milk chocolate compound. No need to reduce the sugar. Hi, I made the Mocha Brownies y’day and they tasted delicious! However, they turned out to be a little dry – how do I make sure they remain moist after they cool down?